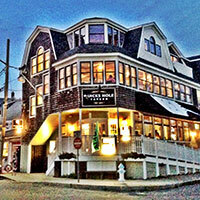 Quicks Hole Taqueria is the hottest new joint in Woods Hole. Discover our lobster tacos, grilled cod burritos and wicked fresh salads. 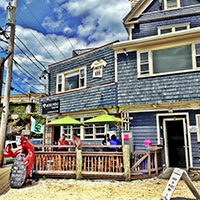 Ride to the end of the Shining Sea bike path and enjoy a Cape Cod Beer or a pitcher of our house-made red sangria. Quicks Hole is part of the farm-to-table movement and sources from local farms and fisherman. Conveniently located across from the ferry, Quicks Hole has an outdoor deck for enjoying your chips and guacamole as the sun sets over the harbor.